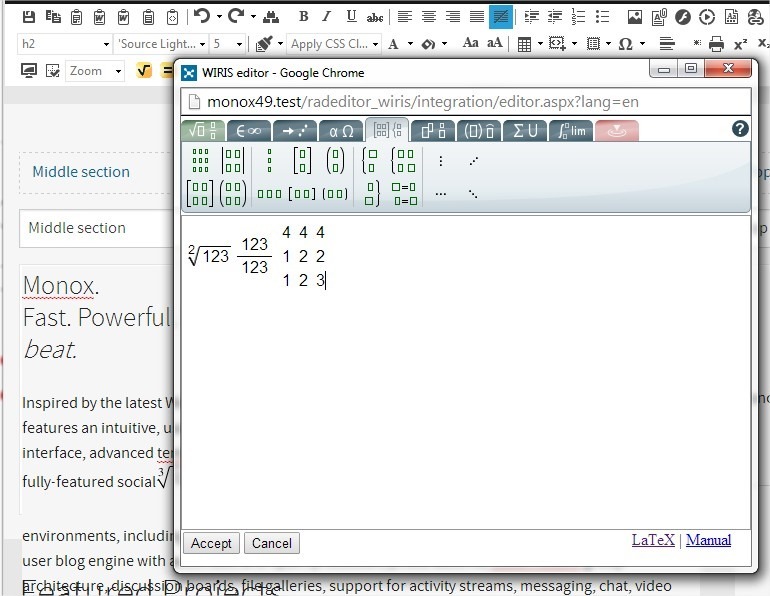 Let's see how to add support for editing mathematical formulas and expressions to MonoX text editors. First of all you need to download and install MonoX (current version 4.9.40.4907). 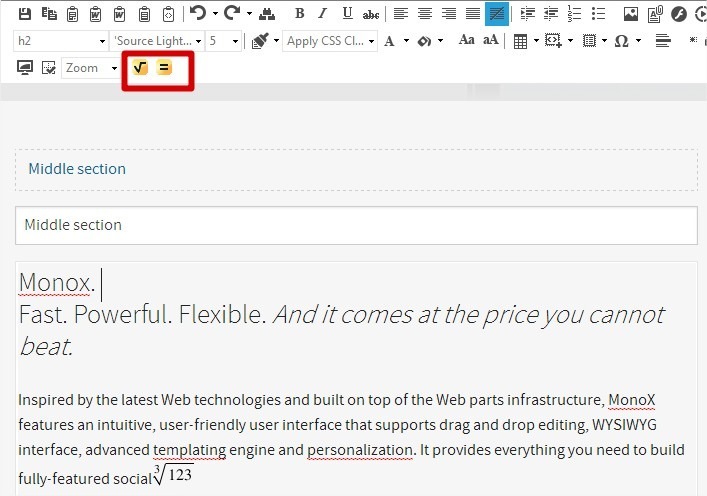 Download the WIRIS plugin for Telerik RadEditor, as the main MonoX HTML editor is based on it. We will be using the latest beta of the WIRIS plugin (current version is 3.50.0). Go to MonoX\Samples\Solution folder, copy ProjectName.sln and Portal.csproj and paste them to your MonoX project root folder. 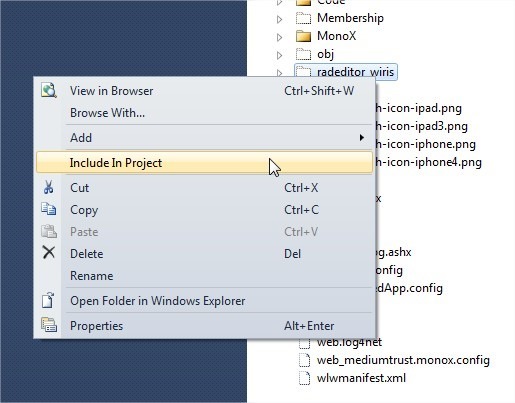 Unpack the WIRIS plugin and copy radeditor_wiris folder to your MonoX project root folder. Go to the MonoX project root folder and open ProjectName.sln. 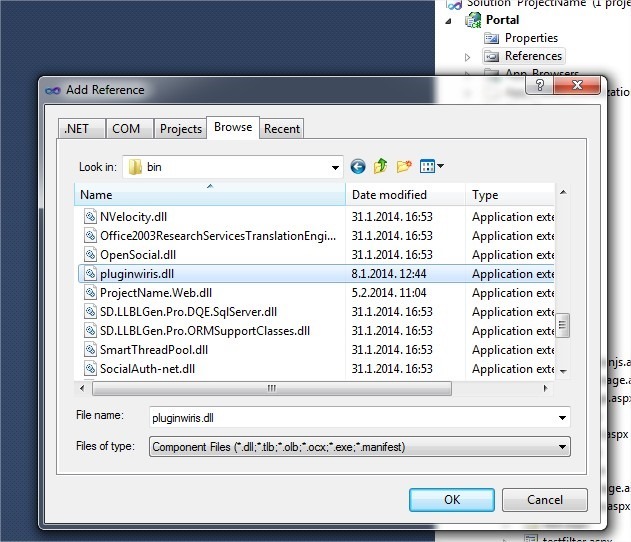 Turn on Show All Files option in the Solution Explorer of Visual Studio. 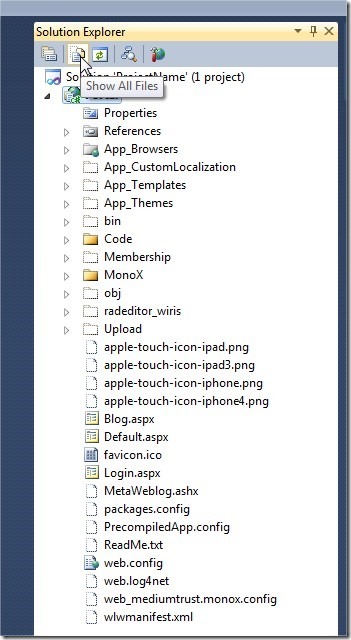 Now, you need to include radeditor_wiris folder to your project. Add a Reference to pluginwiris.dll from the bin folder. 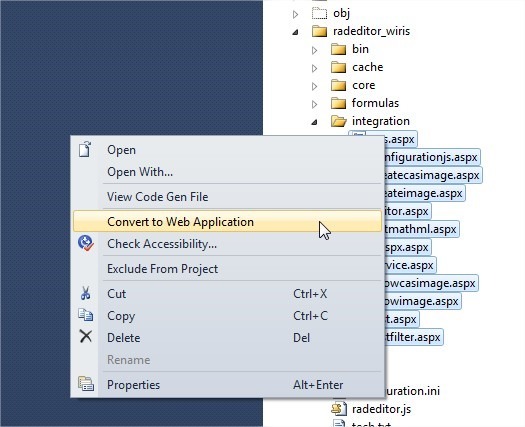 Go to radeditor_wiris/integration and convert all files to web application. EnableTheming = "False" StylesheetTheme="" Theme=""
Click in the HTML editor and you’ll see the HTML toolbar at the top of your screen with WIRIS icons included. After you click on the WIRIS icon, you’ll get the pop-up with the WIRIS editor. Convert WirisCustomRadEditor.ascx into the Web project file. Build the project, go to the browser, log in to MonoX and go to the discussion in the navigation menu. Try to add a new discussion board. Try to open a new topic. Try to add a new post. You can extend the HTML editor across the whole MonoX project (e.g. News, Blog, …) using the approach described in this article. If you need any additional information about the WIRIS editor please contact WIRIS support team. After that, you will be able to start MonoX installation and install the fresh MonoX database to your server.